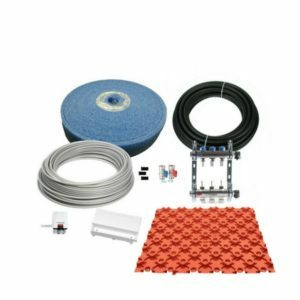 All the components you’ll need to provide a robust, reliable underfloor heating solution for any room in the home or commercial buildings. Standard output packs can provide a heating output of 77W/m². Suitable for most applications including conventional living spaces and bedrooms. Pack consists of underfloor heating Pipe, manifolds, pumpsets and suitable fixings and couplings.